First-Year Orientation is August 18-25, 2019. Your Carnegie Mellon adventure starts here! 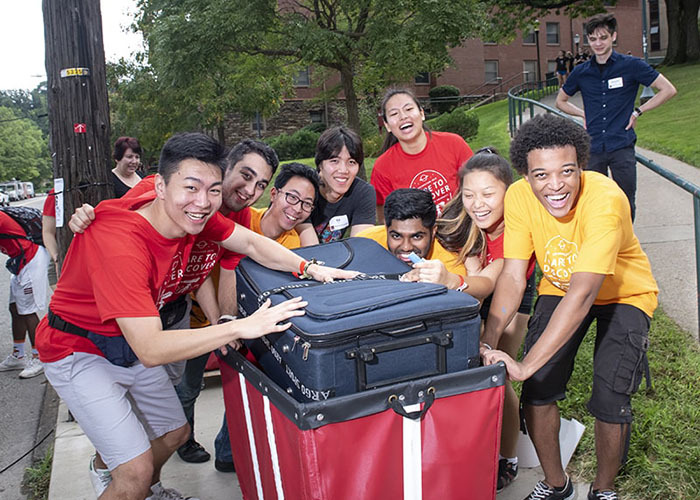 Welcome to Carnegie Mellon University, undergraduate first-year and transfer students! Congratulations on selecting CMU! We are excited to welcome you to campus. Our week-long Orientation program for incoming undergraduate students is a dynamic and engaging experience that will introduce you to the expectations, culture and traditions of Carnegie Mellon University. All incoming undergraduate students are expected to attend the entirety of the First-Year Orientation program (registration is not required for students or guests). Use this website to learn more about Move-In, First-Year Family Orientation and the full 2019 Orientation schedule that will be available on the CMU Events app (download via iTunes or Google Play). You can also review items you should complete before your arrival on campus and explore the resources and vocabulary that will be important to you as a new Carnegie Mellon student. Make sure you stay on track this summer so you can arrive at CMU ready to go. Learn more about the campus resources that will help you prepare for your transition to college. The full Orientation schedule will be available for download in the CMU Events App in early August. Mark your calendar with Orientation Week's most important events. 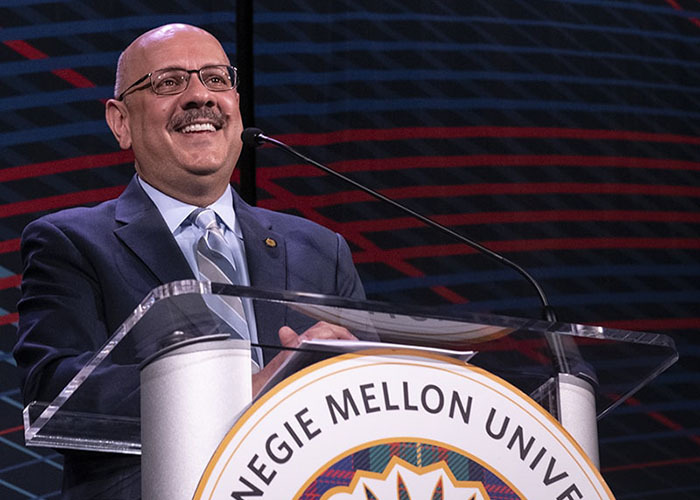 All new students and family members are invited to attend the Orientation welcome program featuring Dr. Farnam Jahanian, president of Carnegie Mellon University, as well as students, faculty and university leaders. Community Collage features upper-class student performances, narratives and personal reflections that highlight the diversity of our campus. 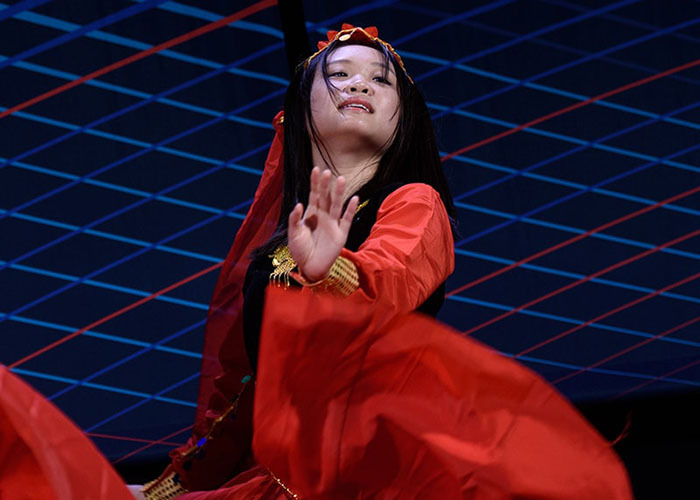 New students gain cross-cultural perspectives and see how individual stories, presentations and performances are intricately woven into the fabric of campus. New students attend a variety of events where they meet academic deans, advisors and other students in their majors and programs. 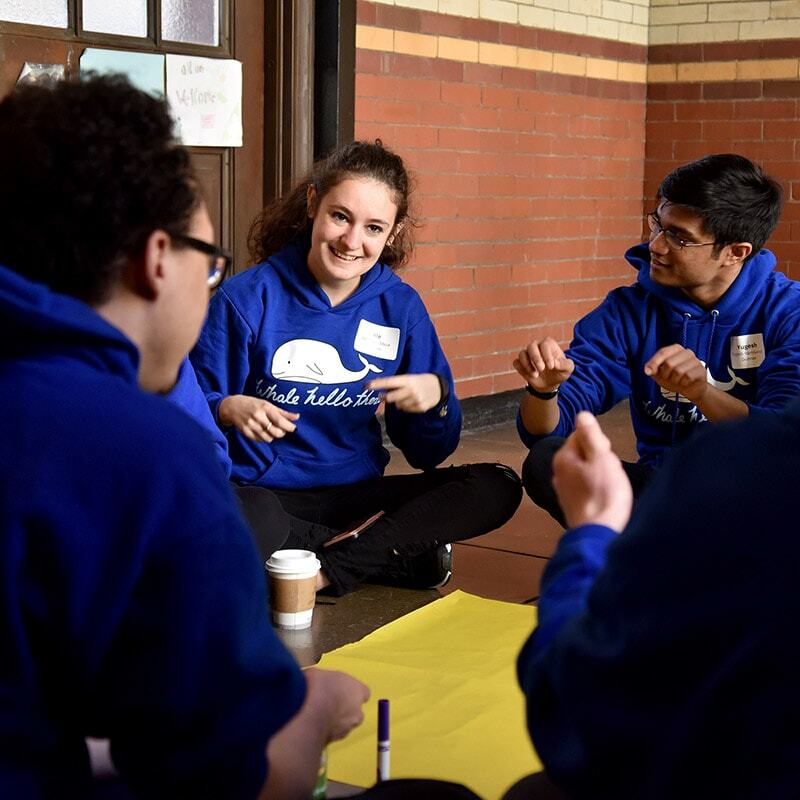 Academic sessions introduce new students to the expectations of their program and offer tips for success. 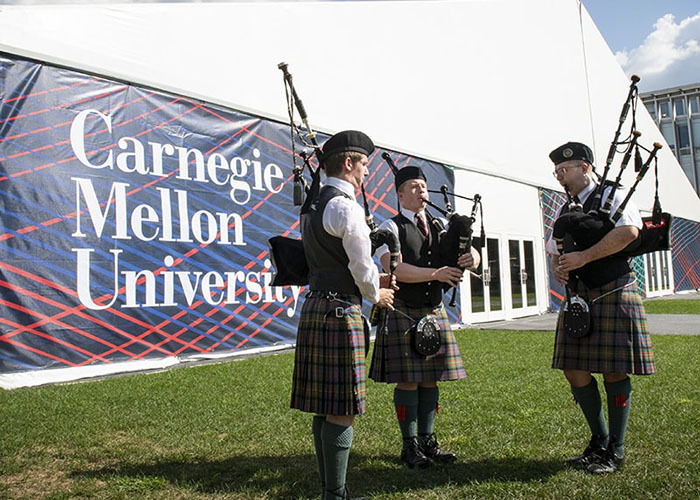 Convocation is the first formal milestone in a student's Carnegie Mellon experience. Convocation is the official academic welcome to campus where students hear words of welcome and advice from the president, deans and student leadership. Join your housing community for an evening to celebrate house pride and friendly competition. Students create cheers, banners, and dress in house colors to build excitement for an evening of quirky outdoor field games. The entire first-year class gathers for its official class picture. 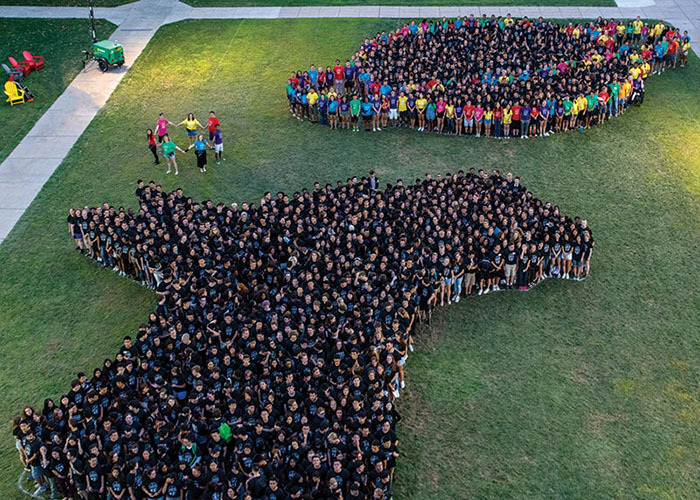 The class of 2022+ formed a Scotty Dog gazing at a planet to complement the 2018 Orientation logo and theme, Dare to Discover. Students learn about multicultural student organizations, enjoy food and music and meet peers and upper-class student leaders at the Multicultural BBQ. New students explore the restaurants and shops along Craig Street during this block party that features live music, dancing and free food.